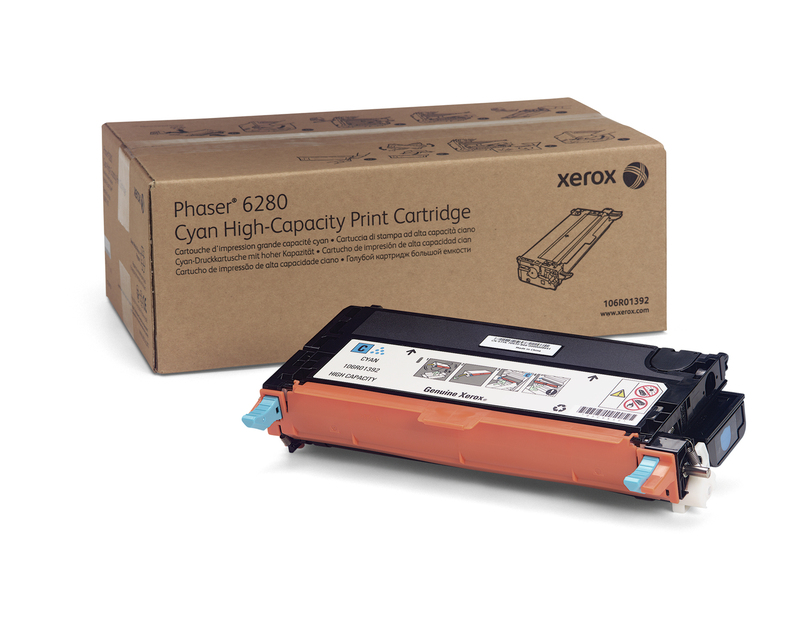 Xerox Cyan High Capacity Print Cartridge, Phaser 6280 for Phaser 6280 is specially formulated and tested to provide the best image quality and most reliable printing you can count on page after page. Xerox Genuine Supplies and Xerox equipment are made for each other. Accept no imitations.